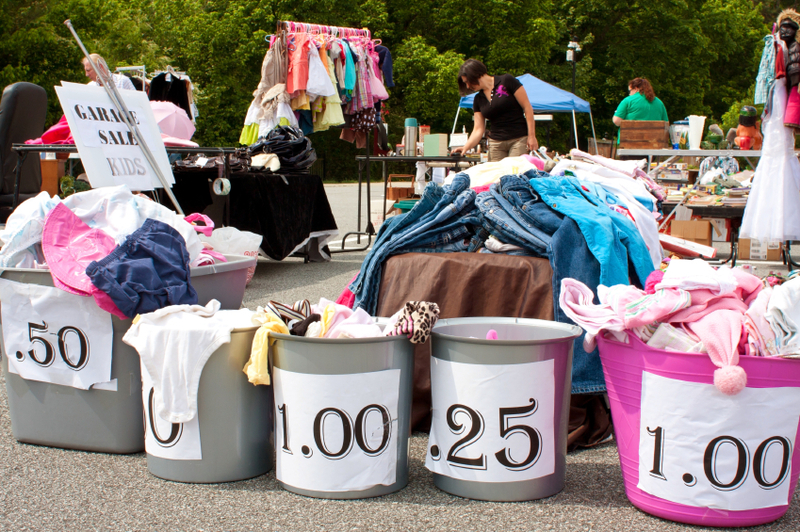 Yard Sales Blog » Yard Sale Tips » 13 Yard Sale Hacks You Need to Know Before your next sale! Are you planning on having a yard sale this summer? Then you absolutely need to check out these yard sale hacks guaranteed to make your yard sale a success! Yard sale season is upon us and I bet you are looking forward to cleaning out your home or garage and having your own yard sale! Since the goal of your yard sale is probably to make as much money as you can, we’re sharing some of our favorite yard sale hacks for pricing, organizing, cleaning up and how to make the most profit! 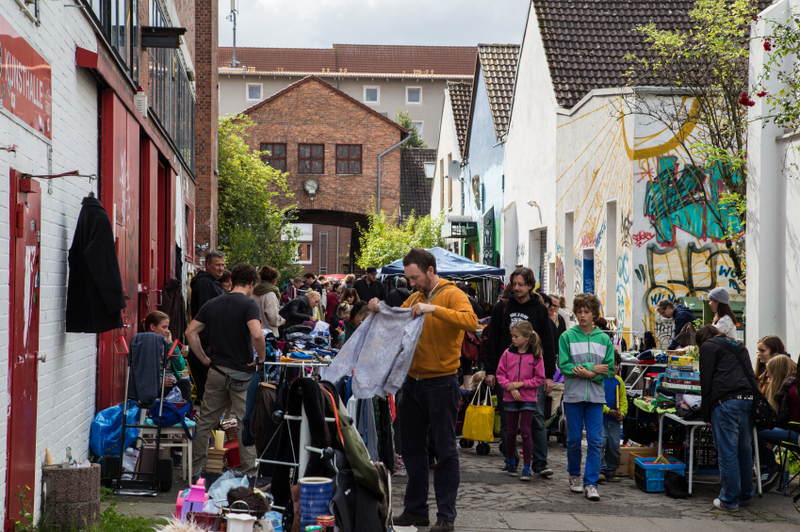 If you can, partner up with a few friends and combine your yard sales into one large multi-family sale. Yard sale shoppers love to find “Multi Family” sales because it usually means more items to look though. Not only will a multi-family sale bring in more customers, but it’s also a lot more fun to host a yard sale with friends. In this day and age, it’s very rare that people carry cash in their wallets. Credit cards and debit cards have completely taken over as the preferred method of payment. Until recently, however, yard sales shoppers were forced to carry cash to make a purchase. But now thanks to modern technology, yard sale hosts can accept credit cards. If you plan to have a yard sale this year, do your buyers a favor and take the steps to accept credit cards at your next sale. All you’ll need is a mobile device and an account with either Paypal, Google or Square to easily accept plastic instead of cash! 3. Advertise once = Get Listed on 7 sites! 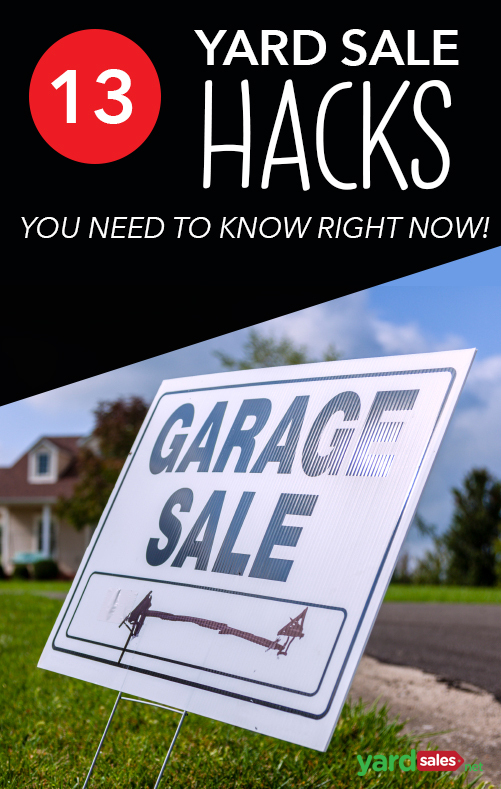 One of the biggest yard sale hacks is knowing where to advertise your yard sale online. Did you know that when you list your yard sale on YardSales.net it is immediately broadcasted to 7 other garage sales sites including, Gsalr.com, Garage Sale Finder, Garage Sale Tracker, Yard Sale Search.com? This is a great way to reach an even bigger audience for your sale with minimal effort! There is nothing that works better at getting people out of their car and into your driveway like a big old pile of FREE stuff! Place a big box near the end of your driveway with a sign that says FREE, then place all the items that you would like to giveaway into the box. This will help turn the passive drivers-by into yard sale shoppers. When it comes to yard sale pricing, you’ll want to keep it simple. Price your items in $.50 cent increments to make it easier to calculate a buyers total bill and hand out change. We recommend having $10 in quarters and about $75 dollars in ones & five dollar bills. I hate to say this..but not everyone that goes to yard sales has the best intentions. So to be on the safe side, you’ll want to carry your yard sale cash in a fanny pack around your waist. This way your money isn’t hanging out in a cash box out in the open for anyone to grab. The fanny pack makes for an easy cashing out process and protects your money from the shady characters. One of the most important aspects of creating your yard sale signs is going to be to make sure that they are not only clear and legible, but also the same color. You can go with either white or neon colored signs, but the main point of importance is to ensure that they are the same color for navigational purposes. Having a series of signs that are the same color will help your customers follow your signs and find you easier. Holiday weekends are some of the worst weekends to host a garage sale Why? Because many people are traveling, going to the beach, or attending family BBQ picnics. The last thing people have on their mind is going to yard sales. You are better off waiting a week and hosting the yard sale once everyone gets back to their normal routines. 9. Don’t have enough tables? Try this! 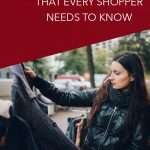 Don’t have enough tables to hold all of your sale items? No problem…you can get inventive. We’ve got a post that shows you 10 ways to display yard sale items when you don’t have any tables. Some of these techniques are pretty darn smart if you ask me. If you are selling a set of silverware or dishes, tape the pieces together using clear packing tape. Plates, bowls, forks & knives can all be stacked and taped together for an easy sale. This will ensure that the pieces stay together and let the buyer know that the dishes come as a set. We all know that online Facebook buy & sell groups are great for selling individual items, but you can also use the group to promote your own offline garage sale. Be sure to check the group guidelines beforehand, and if it’s allowed feel free to advertise your upcoming yard sale inside the group to people who are in your local area. Save yourself some money and head over to Gsalr.com where they have an entire Garage Sale Sign Kit that you can download, print and use for FREE. 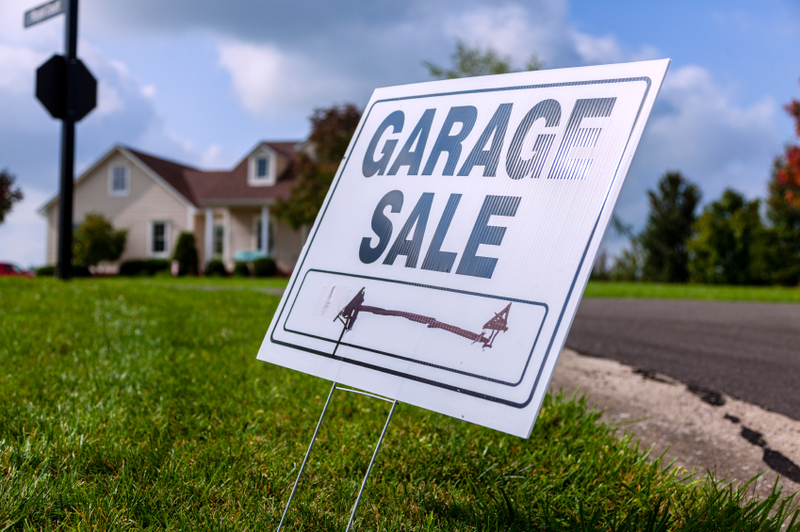 The kit comes with standard garage sale signs, category signs to organize your items and arrow signs that you can use to point potential customers to your sale. At the end of your yard sale, you may have lots of items leftover and the last thing you want to do is drag all of those items back into the house. I’ve got a better alternative, schedule for a charity like Salvation Army to come pick up whatever is left over from your yard sale. 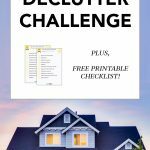 They usually do this for free (or a small fee) and a pick-up truck will arrive at your home at the time you designate to pick up anything that didn’t sell. This is a great idea for two reasons, the first being it makes for a much quicker clean up of your yard sale, but also that you are donating to a charity and helping people in need. Now that you’ve learned a few new yard sale hacks, we’d love to hear what your favorite yard sale tips are. Head over to our Facebook page and leave us a comment! 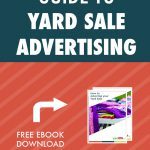 Next Next post: Limited Time Offer: Download “The Ultimate Guide to Hosting a Yard Sale” for FREE through May 27!